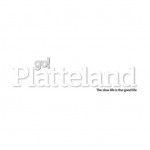 We are proud to announce that our nursery has been featured in the 2017 Winter Edition of Weg Platteland magazine. 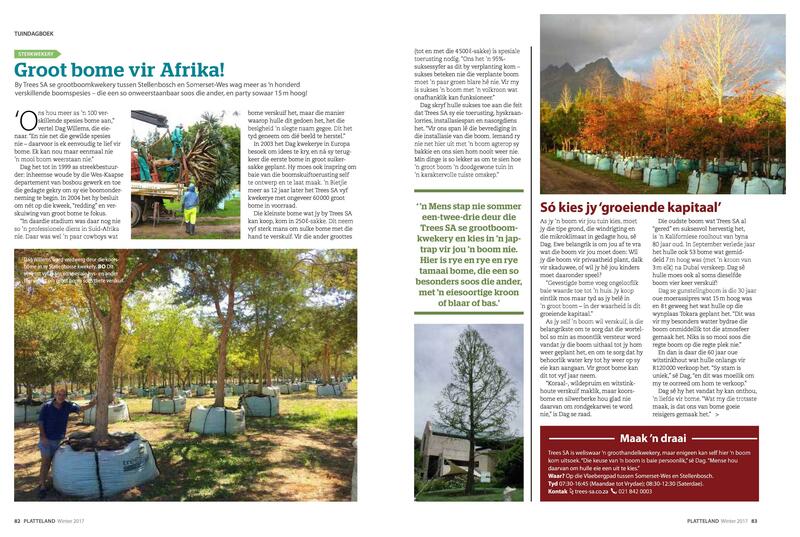 The article delves into the history of the business and how the owner, Dag Willems, came to achieve such a high standard of mature tree relocation, transplanting and installation. It then also mentions some of our biggest projects and trees and features our new nursery in all its glory. Grab yours today and be inspired! Or click here to read the full article in Afrikaans or click here for English.